Welcome to the June edition of the StoryToys newsletter. We recently released Grimm’s Bookshelf, an easy way to organise all of your StoryToys apps in one handy location. It includes a free game from each of our apps, and is also a handy way for us to let you know about forthcoming products, give you sneak peeks and exclusive information about upcoming special offers and discounts. Once Grimm’s Bookshelf is downloaded, all the StoryToys apps located on your device will automatically appear on the shelf labelled “My Apps” allowing you to access all of them from the one place and launch them directly from there. The other shelf is labelled “Store” and enables you to browse and sample StoryToys apps you don’t own, and easily locate new releases. Simply tap on any app in the Store to get free sample pop-up scenes and games from each one of our apps, including new releases. 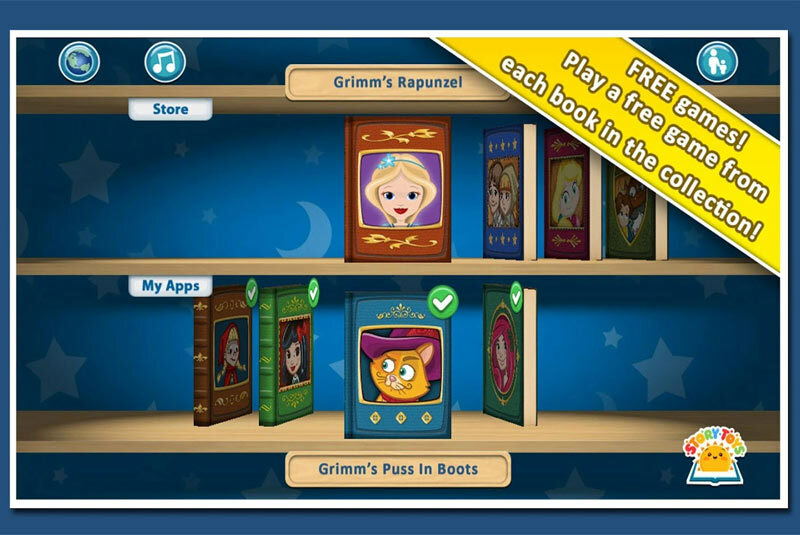 In order for your StoryToys apps to appear correctly on the “My Apps” shelf in Grimm’s Bookshelf you will need to update your existing StoryToys apps over the coming weeks. By updating your apps you will also benefit from some great new features we’re adding to our collection. Over the coming weeks we’re going to be adding free sticker and puzzle books giving you even more fun from your StoryToys apps. The sticker book gives your child the opportunity to create their own unique 3D scenes using characters and props from the book. Pressing the play button will bring their creations to life with movement and speech. Additional stickers, scenes and puzzles are available via a low cost in-app purchase to add to their collection. If you have any thoughts or feedback on Grimm’s Bookshelf, we’d love to hear from you. You can contact us by emailing info@storytoys.com, posting on our Facebook page or tweeting us @StoryToys.